On Wednesday night we went to Briahnna's school for a house lighting ceremony. Her gifted and talented class was wrapping up their final unit of architecture. 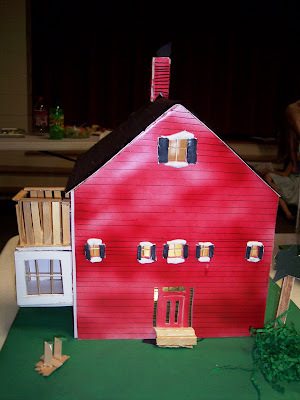 Her last assignment was to make a model of a house. All of the students had their house wired with lights. At the end of the ceremony, the teacher turned the lights off and the students houses were all lit up.. well they were supposed to be. Some kids were having issues with their battery power (my kid included). In the end it was a great presentation and all the students did a spectacular job. Please don't forget about me when you become rich and famous. That's one fine house Brihanna made. Sounds like it was a fun project. Can't wait for the day Connor brings a project like that home. William is such a cutie and he's really growing fast! Great job Briahnna! William is growing so much. Adorable pics! 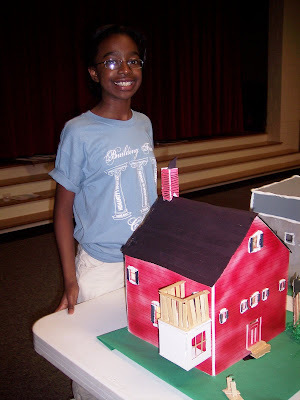 Briahnna will be building our dream home! 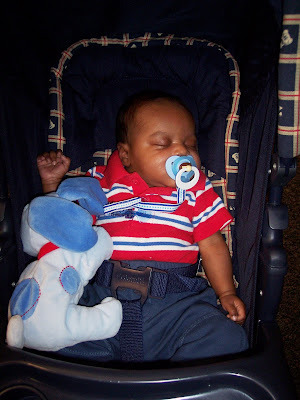 William was a good boy, he didn't wanna take the fame off of big sister!